The work Picasso painted in 1906 and valued at “more than €25 million” is the property of Spanish billionaire Jaime Botin, the largest shareholder of Bankinter and whose great grandfather founded Spain’s largest bank, Santander. Mr Botin reportedly bought the painting in 1977 at the Marlborough Fine Art Fair in London for his personal collection. He has a stake in the company that owns the yacht where the painting was found but “was not on board at the time”. The seizure is the latest chapter in a three-year battle by the 79-year-old billionaire, Spain’s 15th richest man according to Forbes, to take the Picasso out of Spain and auction it off in London. Agence France-Presse, Authorities in France Seize Picasso Painting Banned from Leaving Spain, The Guardian, Aug. 4, 2015, http://www.theguardian.com/artanddesign/2015/aug/04/authorities-in-france-seize-picasso-painting-banned-from-leaving-spain. 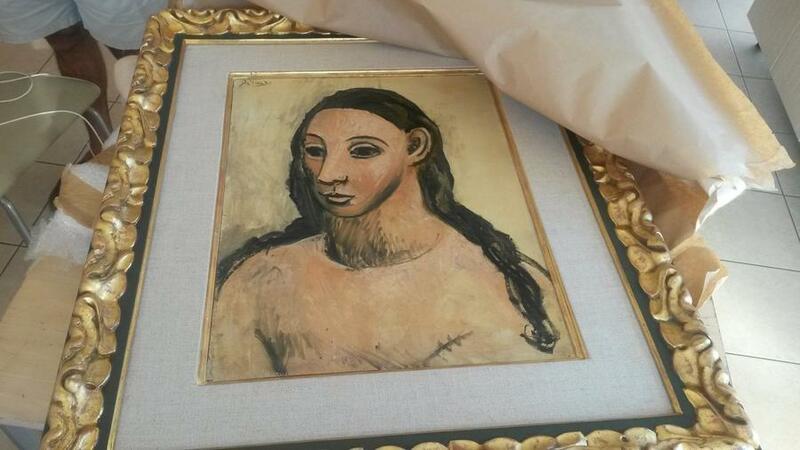 Henry Samuel, Picasso worth €25m seized from British-registered yacht off Corsica (8–4, 2015), http://www.telegraph.co.uk/news/worldnews/europe/france/11782480/Picasso-worth-25m-seized-from-British-registered-yacht-off-Corsica.html.